If you’ve recently been in a car accident and you’re suffering from neck, back, or arm pains, you could be suffering from whiplash. Whiplash is a common injury associated with auto accidents that can cause severe pain, but we have good news: there are effective treatment options that can help you eliminate your pain. At Caron Chiropractic Clinic, P.A. in St. Paul, Minnesota, we’ve treated countless patients with whiplash injuries using chiropractic techniques proven to work. If you’ve recently been in a car accident and think you may be suffering from whiplash or any auto accident-related injury, don’t wait to get checked out; come to our clinic today. 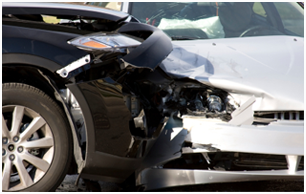 When you’ve been in a car accident, one of the first things you worry about is whether you’ve been injured – right before you think about the damage to your car. But somewhere between realizing you feel okay and making auto repairs, you forget to keep asking yourself how you feel, checking to make sure you didn’t miss any injuries. At Caron Chiropractic Clinic, P.A., we see plenty of patients who have had car accidents weeks or months before coming to see us and who have just started feeling or paying attention to the symptoms of their auto injuries. Luckily, at our St. Paul, Minnesota clinic, you can count on our chiropractors to help you relieve your auto injury pain no matter how long you’ve waited to seek treatment. It all happens so fast. You are sitting in your car at a red light and then WHAM! You are rear ended by another vehicle. An entire whiplash injury occurs in about 1/10th of a second — the length of an eye blink. But in that time, the human head can experience forces greater than that of jet fighter pilots.